Many supervillains like to have the newest luxury cars, but Hugo Drax wanted to show his better taste and sophistication, when he owned top elegant Hispano Suiza from 1930s. Hispano's classic elegance suits perfectly to traditional aristocracy lifestyle, that Drax has adopted in his magnificent Californian chateau. 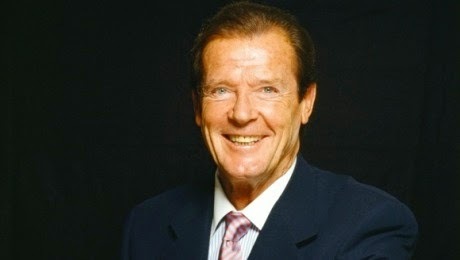 As you know Sir Roger Moore is also a Goodwill Ambassador. 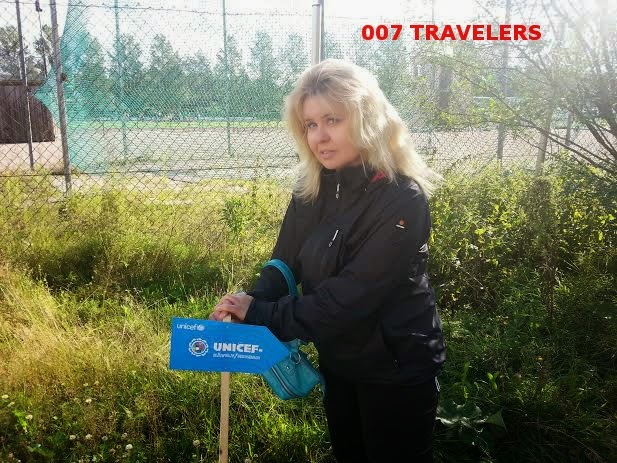 007 Travelers participated UNICEF Walk in Järvenpää, Finland on 30 August 2014. The funds: For schools in Asia. 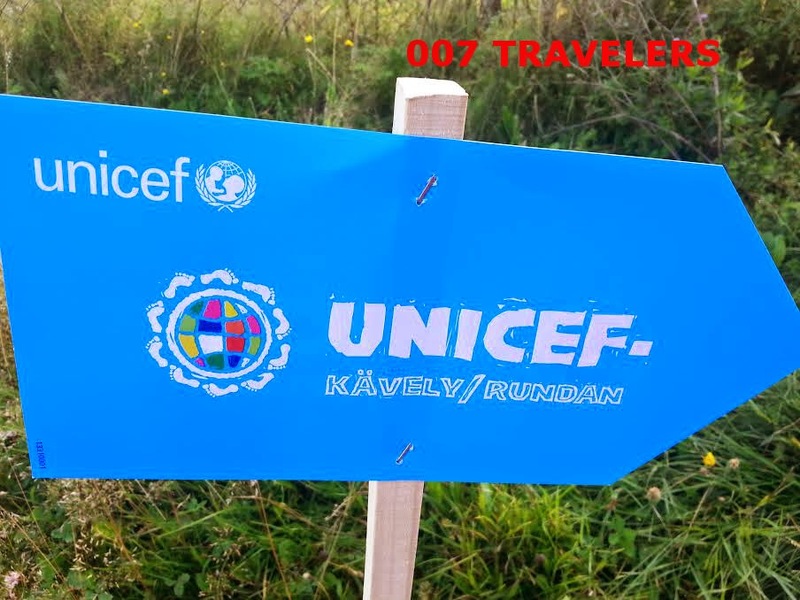 You can also support UNICEF by participating James Bond weekend 19-21 September 2014 in Stockholm, Sweden, organized by From Sweden with Love. 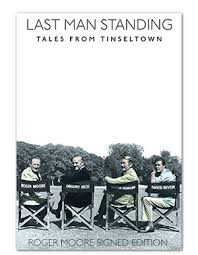 Do you want to have Sir Roger Moore's signing to his new book "Last Man Standing: Tales from Tinseltown"? 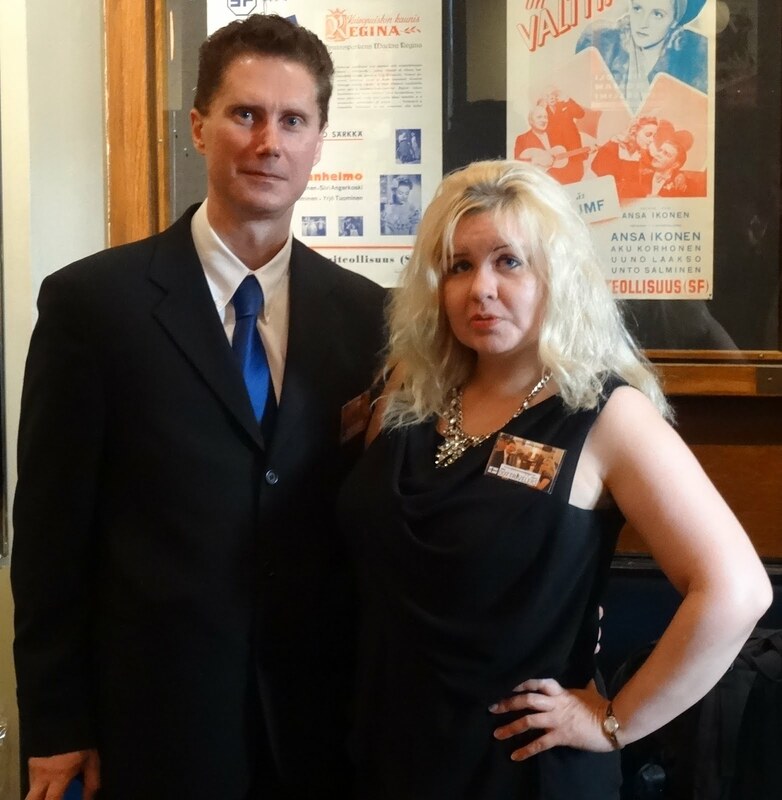 007 Travelers visited Bern and "From Hollywood to Bollywood" walking tour, and met Beatrice Lang from Bern Tourism. We asked her about her work and of course about James Bond and traveling. 1. How long have you worked in Bern Tourism? A little more than two years. 2. In your opinion, which is the most famous tourist attraction in Bern? 3. Your walking tour "From Hollywood to Bollywood" includes also 007 filming locations. 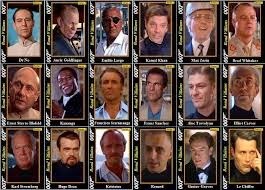 Who is your favourite James Bond actor? 4. The best Bond movie? 5. Which is the best place where you have traveled so far? 6. Which is the place where you would like to visit but have not yet been? We interviewed Karita Brun, who is studying to become a librarian. 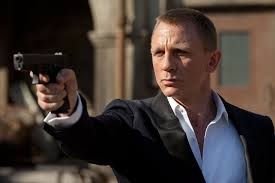 007 Connection: 12 August 2014 became exactly 50 years, when James Bond's creator Ian Fleming died. 1. Would you tell us about your work here in the middle of the Bond books? I study information -and library services and I study here in Järvenpää´s city library. My job here is to put materials to shells and prepare books, so they are ready to be borrowed from the library. In addition, I service customers when they loan and return books. 2. How long have you worked in Järvenpää City Library? I started here about one year ago, my studies started in February 2014 including two years of education, and I am supposed to graduate as librarian in the beginning of 2016. 3. How did you get interested in library business? I have always loved books and reading and liked libraries as a places. My mother was working in the library 20 years ago and I helped her already then and got my first touch to this business. Later I found out that this is what I really want to do. 4. What kind of books do you like and what books do you read? I read mostly scifi and fantasy books, every now and then also some adventure books, horror and other literature. When I have worked in youngster's department, I have read more that kind of literature. You could say that I read all kinds of books. 5. Are you interested in Bond movies? Latest ones I have watched with big interest, because I like the realistic touch, that they have. 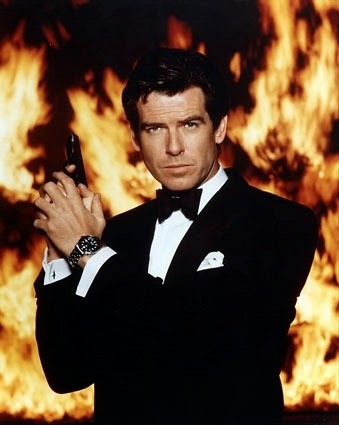 I have never been a fan of older movies and I have watched Bond movies only after Pierce Brosnan started as Bond. Brosnan's Bond is clearly more like an actionhero, where as Daniel Craig's Bond is more realistic, darker and almost an antihero. 6. Who is your favourite Bond actor? 7. Where would you like to travel? There are many places where I would like to travel. Number one would probably be the whole America as well as Australia and London. 8. Which is the most borrowed Bond book in your library? When talking about Ian Fleming books, it is "Goldfinger" (1959). Also Fleming's "On Her Majesty's Secret Service" (1963) has been popular. However, the most borrowed Bond book of ours is John Gardner's "Icebreaker" (1983), which always interests us Finns. Encyclopedias and biographys of Bond are anyhow more popular, because history and nonfiction books seem to be more interesting than fiction when it comes to Bond books. 007 Travelers vieraili Bond-kirjojen keskellä Järvenpään kaupunginkirjastossa tarkalleen päivänä, jolloin Ian Flemingin kuolemasta tuli kuluneeksi 50 vuotta. Haastattelimme kirjastonhoitajaksi tähtäävää Karita Brunia. 1. Kertoisitko työstäsi täällä Bond-kirjojen keskellä? Olen tieto- ja kirjastopalvelujen opiskelija ja opiskelen täällä Järvenpään kaupunginkirjastossa. Kirjastossa tehtäviäni on aineiston hyllyttäminen sekä kirjojen saattaminen lainauskuntoon. Lisäksi palvelen asiakkaita kirjojen lainauksissa ja palautuksissa. 2. Kauanko olet ollut töissä Järvenpään kaupunginkirjastossa? Aloitin työt kirjastossa noin vuosi sitten, alan opiskelun aloitin helmikuussa 2014. Kyseessä on kahden vuoden koulutus, ja tarkoitus olisi valmistua kirjastovirkailijaksi alkuvuodesta 2016. Olen aina rakastanut kirjoja ja lukemista, ja tykännyt kirjastoista muutenkin paikkoina. Äitini oli 20 vuotta sitten kirjastossa töissä ja auttelin silloin jo häntä kirjastossa ja sain silloin ensikosketuksen alaan. Myöhemmin löysin "kutsumukseni" tähän alaan. 4. Minkälaisista kirjoista itse pidät ja mitä kirjoja luet? Luen enimmäkseen scifiä ja fantasiaa, satunnaisesti myös jännitystä ja kaunokirjallisuutta sekä kauhua. Nuorten puolella työskennellessä on tullut luettua myös enemmän nuorten kirjallisuutta. Luen kirjoja laidasta laitaan oikeastaan. Uusimmat olen katsonut mielenkiinnolla, koska pidän niiden realistisesta otteesta. En ole koskaan ollut erityisesti vanhempien elokuvien ystävä, ja Bond-elokuvia olen katsonut oikeastaan vasta Pierce Brosnanin ajoista alkaen. Brosnanin Bond on selkeästi enemmän toimintaelokuvasankari, missä Daniel Craigin Bond on realistisempi, synkempi, lähestulkoon antisankari. Haluaisin matkustaa moneenkin paikkaan, listan kärkipäässä olisi varmaankin Amerikka kokonaisuudessaan, Australia ja Lontoo. Ian Flemingin kirjoista se on "007 ja Kultasormi". (1959) Hänen tuotannostaan myös "Hänen Majesteettinsa salaisessa palvelussa"-kirjaa (1963) on meiltä lainattu. Kokonaisuudessaan lainatuin Bond-kirjamme kaunokirjallisuuden puolelta on kuitenkin John Gardnerin kirja "Tehtävä Suomessa, James Bond" (1983), joka aina suomalaisia kiinnostaa. Ensyklopedioita ja elämänkertoja Bondista lainataan kuitenkin enemmän, koska historia ja tietokirjallisuus aiheesta tuntuvat kiinnostavan enemmän kuin kaunokirjallisuus. "Coming out of Phantom Manor, he took a long and careful walk around the lake which was the main feature of Frontierland. Big Thunder Mountain reared up in the middle of the water and he watched as the rickety little train, with its open trucks full of screaming visitors, came spiralling down at speed to sweep through the water splash at the base, then rise again in a dizzying turn that would take it back to the starting point." MP Lafer represents elegance and good taste. This car is a perfect vehicle to Manuela, stylish agent of MI6, when she drives in sunny Rio de Janeiro. Bond is in Brazil, because he is tracking missing space shuttle. 007 Travelers met two team members of Schilthorn Cableway Ltd.
We asked them about their work, and of course about James Bond and traveling. 1. How long have you worked in Schilthorn Cableway Ltd.? N: I have been working here for 3 years now. Z: I have been working with Schilthorn for a three months. 2. Tell about your work and what is best about it? N: Among other things I’m in charge of Scandinavia, UK and USA and I’m doing various sales activities for these markets. Best about is, that I made my hobby traveling into my profession and I have a lot of contact with people from all over the world. Z: I am a tour guide and I have the honor to meet and guide our guests from the whole world to the 2,970 m high summit of Bernese Alps- Schilthorn. Its a great panoramic view there, which includes Jungfrau, Mönch, Eiger and even Mont Blanc. Every trip is an adventure. All depends on weather conditions, so a lot of times I should be flexible and quite fit. I love it! N: George Lazenby, of course! 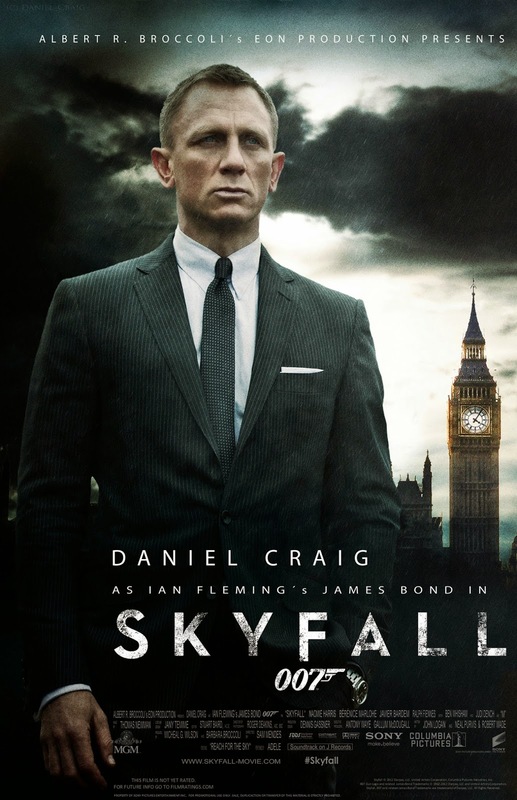 Z: Skyfall (2012), that is great! N: My next journey will be Southeast Asia....maybe Bali. HAPPY BIRTHDAY Sean Connery, 84 years! Do you want to be in next 007 film? Now you can be a male Bond villain "Hinx" (the name may change). you should know that Bond casting agency is looking for just a right man for the role! Have you been looking for some high-octane excitement to channel your energy and stoke your passion for adventure? Do you want to take your personal and professional life to the next level with style, charm, and an elite range of skills? Are you ready to start living the James Bond lifestyle? For more than five decades, millions of people all around the world have dreamed of stepping into 007’s dangerous shoes for a mission or two, but it was simply never possible – until now! If you want to enjoy the spirit of the amazing city of Belgrade and live the life of a movie-class spy - even just for one night - then this program is precisely what you’ve been seeking. The Life of Bond promises you a lifetime worth of adrenaline, exhilarating challenges, and an elite, high-end lifestyle. Internationally renowned instructors will introduce you to the specialized skills of extreme driving, poker playing, shooting, and martial arts. For those visitors with even higher ambitions, there is a 007 Program. 007 Program participants will also learn the advanced skills of reading body language, using social dynamics in their favor, and extreme survival. However, at the end of the day, it’s about lifestyle, so expect cigar smoking, whiskey tasting, and lavish evenings at the best restaurants, clubs, and casinos in Belgrade. The city is waiting for you to reach out and grab it. Suit up and prepare yourself for the Life of Bond. It doesn’t matter if you’re on a highway, in a dark alley, lounging at the casino, scaling a mountain, or attending a black tie gala, you will be more than ready to respond to any challenge. Bourbon whiskey is a type of American whiskey: a barrel-aged distilled spirit made primarily from corn. The name is ultimately derived from the French Bourbon dynasty, although it is disputed whether the namesake Kentucky county or New Orleans street inspired the whiskey's name. Bourbon has been distilled since the 18th century. The name "Bourbon" was not applied until the 1820s, and the Kentucky etymology was not advanced until the 1870s. While the liquor may be made anywhere in the United States, it is strongly associated with the American South in general, and Kentucky in particular. "He walked home with the crowds, had a shower and some sleep, and then found his way to a restaurant near the sales ring and spent an hour drinking the drink that Leiter had told him was fashionable in racing circles – Bourbon and branch water. Bond guessed that in fact the water was from the tap behind the bar, but Leiter had said that real Bourbon drinkers insist on having their whisky in the traditional style, with water from high up in the branch of the local river where it will be purest. The barman didn’t seem surprised when he asked for it, and Bond was amused at the conceit." According to Tiroler Tageszeitung, the 24th Bond film, starring Daniel Craig will be shot partly in Obertilliach, Austria in early 2015. And as earlier has been reported in several places, Rome, Italy might be a place for a car chase near Via Quattro Fontane (AKA the Four Fountains). Nathalie Stöckli and Anja Ullmann. 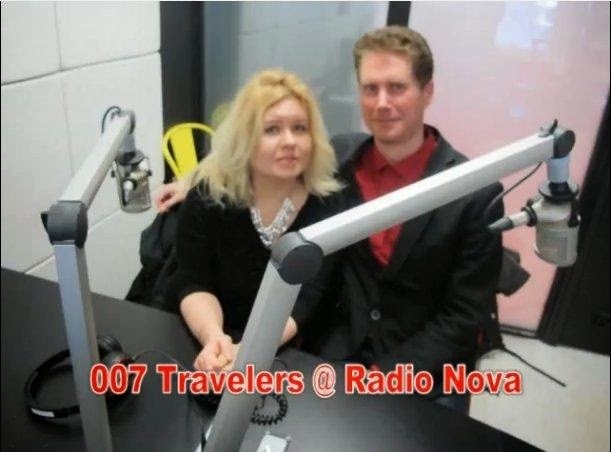 We asked them about their work, about James Bond and traveling, about filming of Bond movie in their hotel and about Bern´s main tourist attractions. 007 Connection: Parts of 007 movie "On Her Majesty´s Secret Service" (1969), starring George Lazenby, has been filmed in Hotel Schweizerhof Bern. 1. How long have you worked in Hotel Schweizerhof Bern? Nathalie: I have started working at the hotel in summer 2013. Anja: I joined the hotel in December 2012. 2. Some parts of 007 movie "On Her Majesty´s Secret Service" (1969) has been filmed here. Tell us about it. N: There is one scene in the movie where James Bond stands on the balcony of the office of the lawyer Gumbold where he had sneaked in before to get information about Blofeld. This part was filmed on the balcony of our hotel. A: We know that the elevator scene was filmed in the Hotel Schweizerhof Bern. A: It is a very difficult question. My favourite is the last one with Daniel Craig. N: It is "On Her Majesty's Secret Service" (1969). And I think it is because of the identification with the scenes and the settings here. A: From my perspective, it is the last one. The newest one: "Skyfall" (2012). N: That's difficult to answer, I have done a lot of traveling, and I have a lot of favorite places but the counrty that I'm most attached to is Italy, especially the region of Naples. A: It is Japan, Tokyo. I´ve been there because in this year (2014) we celebrate the 150th anniversary of the establishment of the diplomatic relations between Switzerland and Japan. N: South America, but if only one place, it is Peru. A: Some Nordic countries, so maybe your country (Finland) some day and would like to stay there for some days. 7. How many tourists visit your city (per year)? N: We had a new record last year (2013) regarding the number of overnights in Bern. A: The city had 709‘000 overnights. 8. Which are your main tourist attractions in Bern? N: One of the most known attractions is the BearPark – the relationship between the city of Bern and its symbol has a long-standing tradition. Berne is considered a cultural stronghold and is home to some of the most significant museums and galleries in Switzerland like for example the Paul Klee Center. The whole old town is an attraction. It was recognised by UNESCO as a World Heritage Site and with some six kilometres of arcades, Bern offers visitors the chance to window-shop along one of the longest covered promenades in Europe. A: The Clock Tower (Zytglogge), the Rose Garden, the Albert Einstein house as well as the Albert Einstein museum and not to forget the many fountains that are everywhere in the city to be discovered. 9. 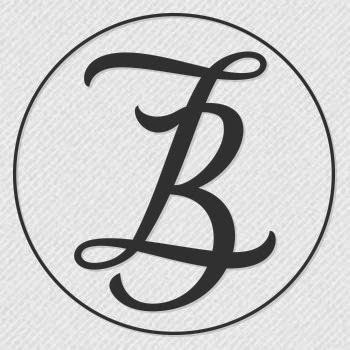 Do you co-operate somehow with Bern Tourism? A: Yes, we have a very strong relationship and we have an excellent co-operation. Event: "An afternoon / evening with Sir Roger Moore 2014"